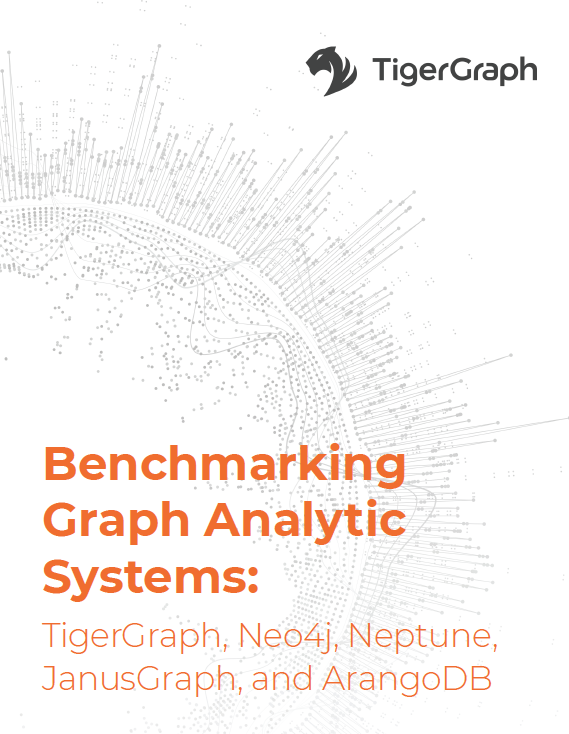 Graph Database Benchmark Report : TigerGraph, Neo4j, Amazon Neptune, JanusGraph, and ArangoDB. This graph database benchmark study examines the data loading and query performance of TigerGraph, Neo4j, Amazon Neptune, JanusGraph, and ArangoDB. TigerGraph is 2x to more than 8000x faster at graph traversal and query response times compared to other graph databases tested, running on a single server. TigerGraph's advantage increases as the number of hops increases.